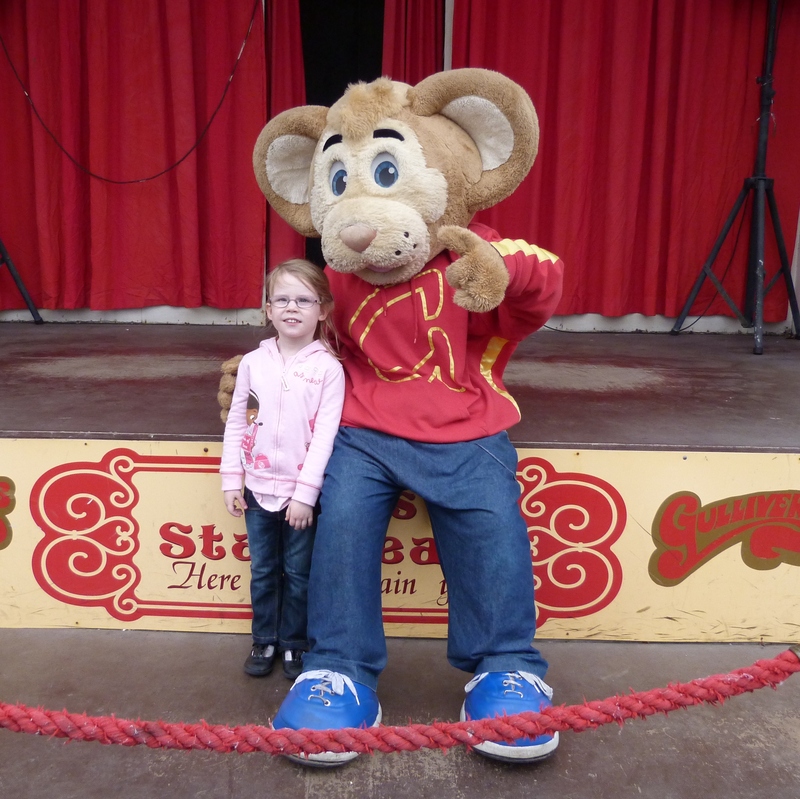 A couple of weeks ago we spent the day at Gulliver’s World Theme Park in Warrington. I have been there as a child but not as an adult so I wasn’t really sure what to expect. There were a lot more rides than I thought there would be, and lots of climbing frames and outdoor play areas so you can easily fill an entire day. We spent 7 hours there and managed to go on all the rides that we wanted to, some more than once, but we were lucky that despite it being Easter weekend we hardly had to queue. All the rides are designed for children and while there are some bigger rides I don’t think older children/teens would get much value from the park. Izzy is 4 and at 105cm she was tall enough for the majority of the rides and there were only a handful of rides that she was too small for. Many of the rides and attractions are showing their age now – they are quite outdated and could do with sprucing up! 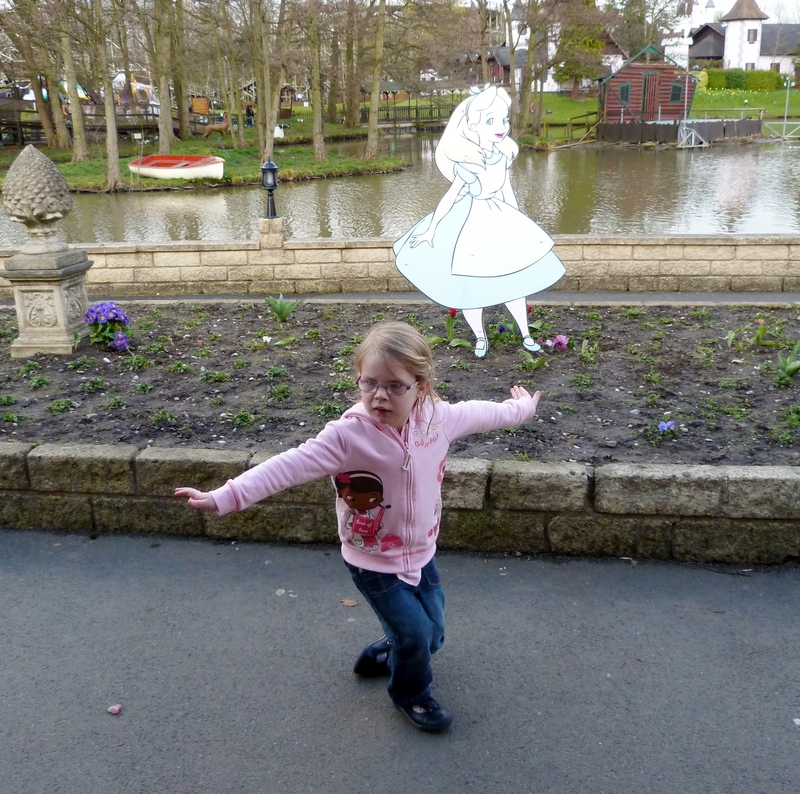 But Izzy didn’t seem to notice or care and she had a fantastic time. She loved the Dinosaur rides and the carousel but her favourite was the walk-through haunted house, which she went in 4 times! 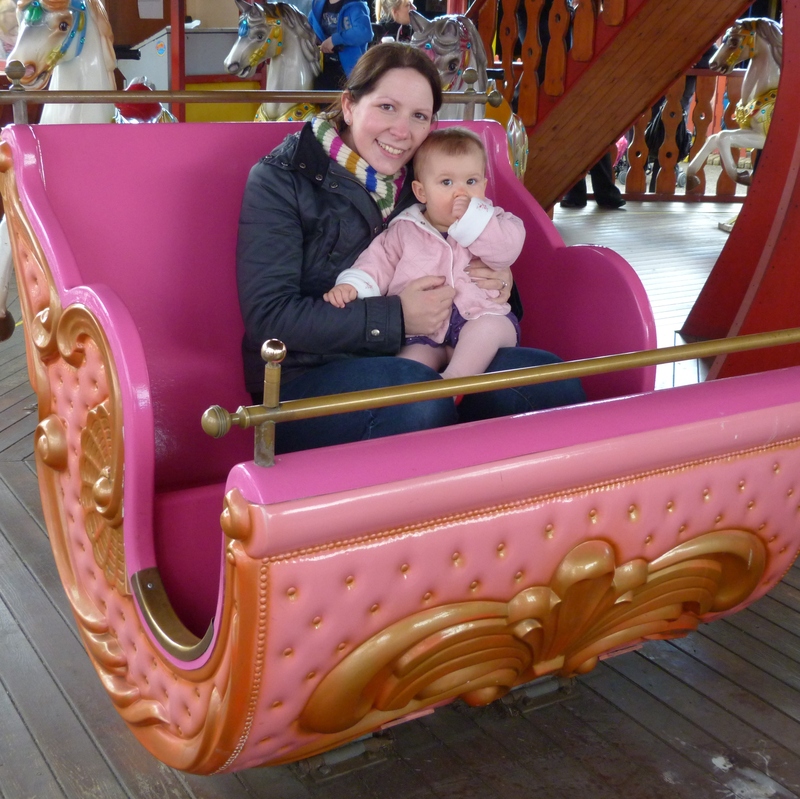 Clara is still too small but she was able to sit in a carriage on the carousel with me, which she looked a bit bemused by. 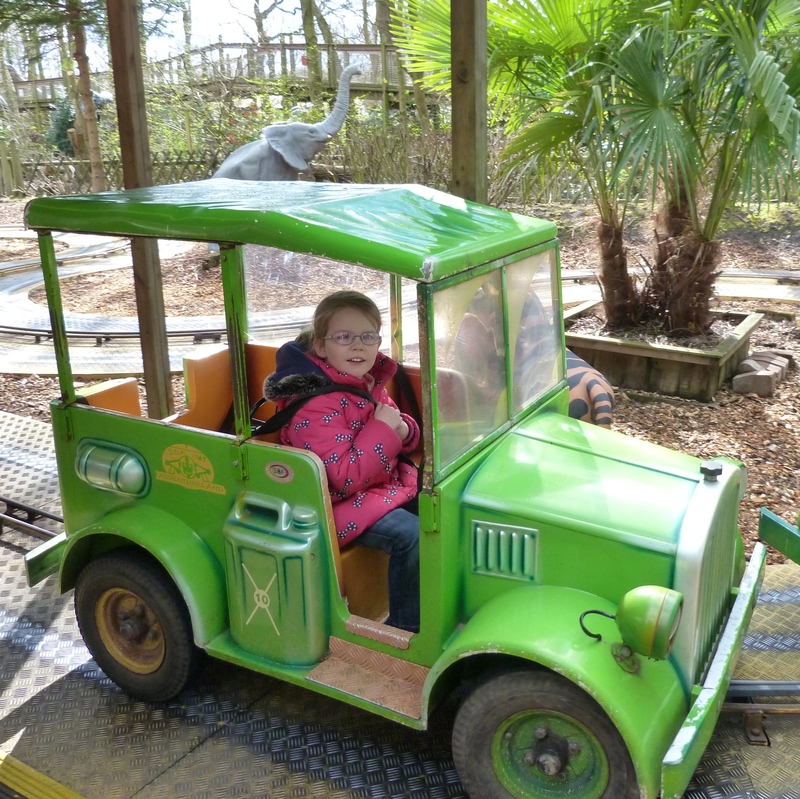 Even though there is lots to do, all the attractions are quite close together so you don’t have to walk for miles between everything, which is always handy when you have got young children in tow! We stayed at the Gulliver’s World Hotel the night before going to the theme park. They have themed rooms which look really fun, though the standard family room that we stayed in did the trick considering we were hardly in there. The hotel has an indoor games room and an outdoor play area for the children and in the evening they put on a film on in the reception area and provide milk and cookies. We went out for tea (there’s a Nandos in Warrington so of course we had to go there!) so Izzy missed this, but she did enjoy the games room. The only downside to the Hotel would have to be the breakfast. It is served in the diner at the theme park, which is across the carpark. It’s not far but we had the kids in their pyjamas and slippers as we didn’t realise we had to go outside! The food was okay, but the buffet style breakfast was very limited in choice and they kept running out of things while we were there. And as I am a big fan of breakfast (most important meal of the day you know) I was a bit disappointed. 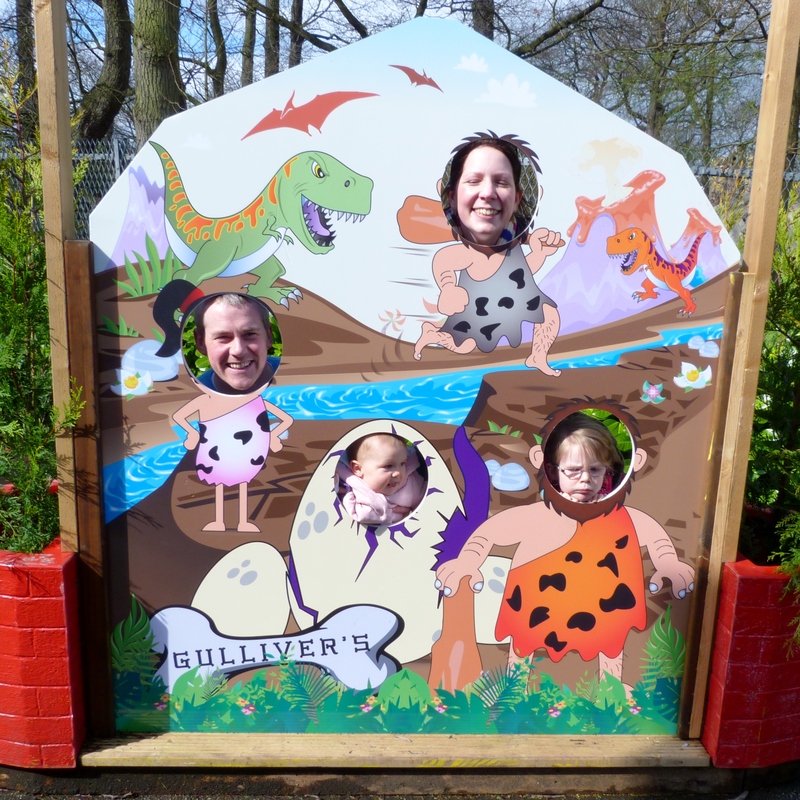 Overall it was a great family day out and Izzy loved it, so I would definitely go back. Maybe in a couple of years when she will be tall enough for all the rides but still small enough to appreciate them, and by then Clara will be big enough so enjoy some rides too! We have only been the once but we will probably go back when Izzy is big enough for the rest of the rides. Maybe by then they will have given the place a paint! I went to this theme park when I was little! It’s changed a lot! Some bits are still the same as when I was little but they seem to have invested in quite a few new rides!